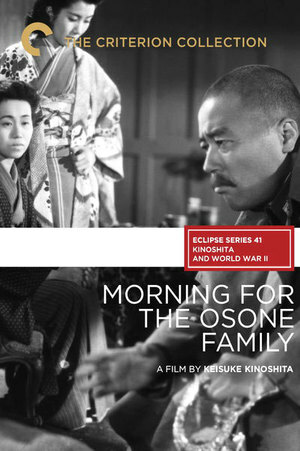 Made directly after the conclusion of WWII, Morning for the Osone Family examines the feelings of the Japanese towards WWII through the familial lens of the Osone family, a peace-loving household. Our story opens during a tender family Christmas celebration in 1943, under the watchful eye of its gentle matriarch, Mrs. Fusako Osone. Sons, daughters, and friends gather around a piano, singing "Silent Night", which seems appropriate to their shared surroundings. The happy moment suddenly shifts as the children and their friends express divided feelings about the war which has finally reached their doorsteps, making it impossible for them to stay silent any longer. Most of the action will take place in the small, confined space of the Osone home, which only adds to their - and our - general feeling of suspended animation. This holiday season brings more drama as their individual stories deepen: a broken engagement, a political arrest, an unexpected draft notice, several deaths and a shotgun enlistment only serves to pile the tension higher. Another toxic element is introduced by their uncle, Ichiro, a bombastic bully whose controlling tendencies make him a natural wartime leader in Japan’s military. Mrs. Osone denial about her children's - and her own - divergent patriotic feelings get pushed onto the back burner as she struggles to keep her late husband's moral flame alive. 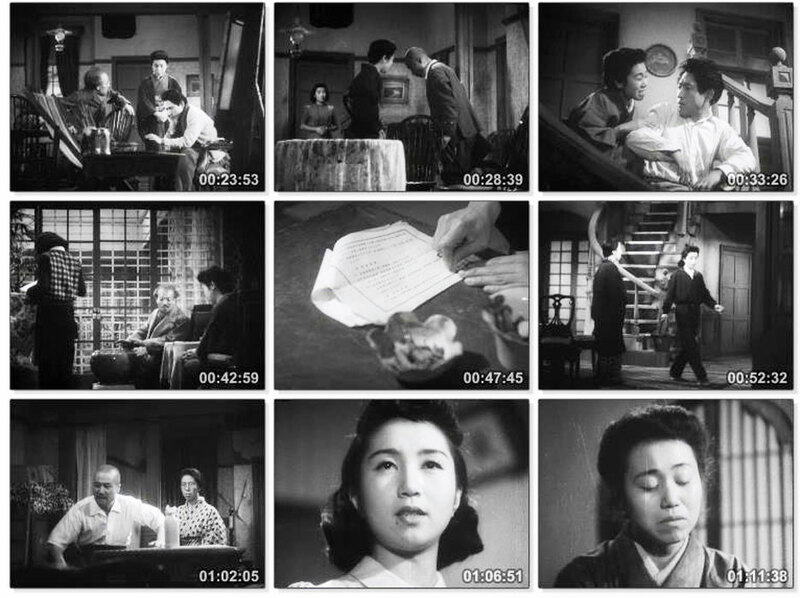 Uncle Ichiro adds to their already frayed nerves by attempting to control the family vis a vis Mrs. Osone, as he steamrolls his way into the house as the dreaded relative who refuses to leave. Morning for the Osone Family also plays on the synonym, as Mrs. Osone struggles through the extended mourning of her husband, which mirrors the suffering of her entire country. 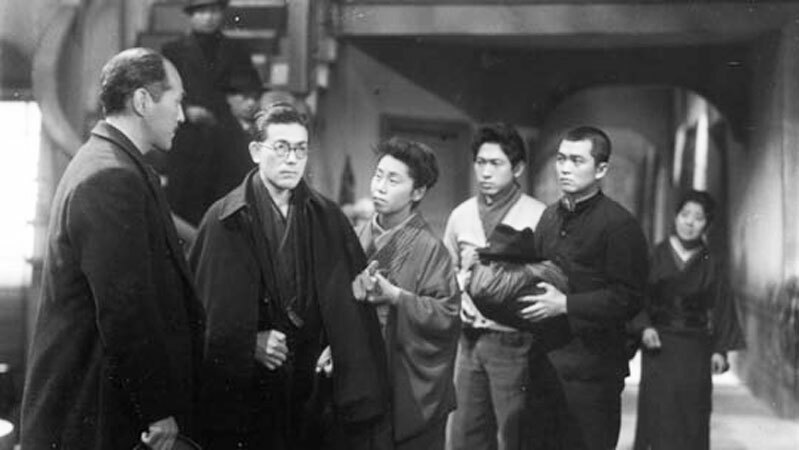 When the war comes to an abrupt close, its sharp political denouement gets boiled down to Mrs. Osone's passionate tirade against the Japanese military and state leaders, which she delivers with a rapid-fire hatred that threatens to set Uncle ablaze. But the film oddly lets the allie's atomic slaughter of 240,000 people at Hiroshima and Nagasaki drown in a silence more deafening than Mrs. Osone's previously strained compliance. 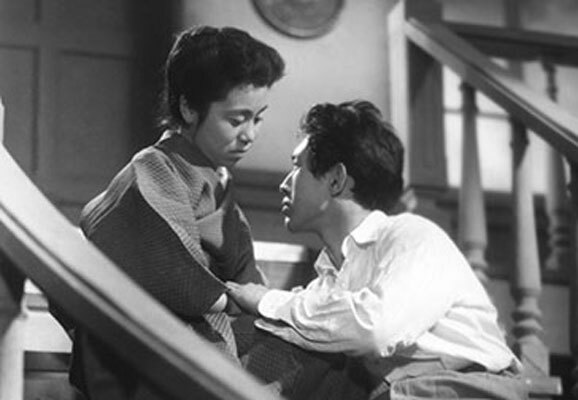 Director Kenoshita's creative cop-out may have kept the occupying post-war allied forces happy, but a stronger anti-war statement was lost and thereby compromised the film’s ending. The remainder of the Osone family regroups to watch a saccharin sun rising on a brighter morning in post-war Japan. As the sun climbs higher, they share propaganda-soaked platitudes that shine just as falsely as Uncle Ichiro's empty fascistic promises. Yet despite the false ending, Morning for the Osone Family delivers strong performances that promise to keep us emotionally engaged, with memorable characters and an insightful story.